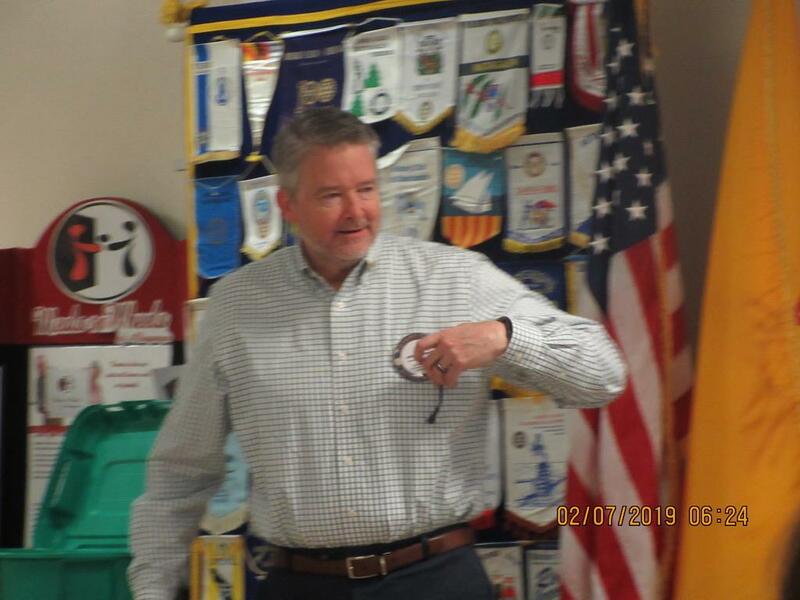 Thursday's Regular Meeting on February 7, 2019 featured Del Sol Membership Chair Barrie Segall speaking on Membership Trends in Rotary generally and specifically in the Albuquerque area where Barrie is the Central Region Membership Chair. Rotary membership in the district is down about 25%. Barrie said we must continue to identify potential members and invite them to our meetings. He said we need to be more relevant to younger members and their families. He also said we need more "Hands On Projects"that younger members can do. A club discussion was held on membership. Tony Pino said that our sweet spot for new members are potential members between 45-55 years of age because their children are almost grown and they are very secure in their career. Mark Abramson said we must emphasize to potential members that there is a commitment of time, talent and money involved with being a Rotarian. Editors Note: Since the 2014-2015 year, Rotary Del Sol has grown from 50 Active Members to 62 Active Members, a gain of 24%. This year we have 12 Service Projects either completed or in process. We also have a substantial number of Paul Harris Fellows. In short we have a lot in which to take pride. Hooray for Del Sol Rotarians!!! Monday February 11 at 5:15 at Nexus Brewery is a Governors Ball General Meeting. Co-chairs Tony Pino and Ron Hensley urge all members to attend this very important meeting since Governors Ball is coming up soon on April 27, 2019. Please work on Sponsors, Auction Items and think about who you want to invite to your tables. We urge every member who is able to buy and fill a table. February 14 is the Valentines Day Meeting at the Regular Meeting at Meals on Wheels Cafe at 7:00AM. Beth Gautreax is speaking on "Love is Blind". Please invite your spouse or significant other to attend. If you do please click on the Event in the Event Calendar on the Home Page which will take you to the registration page so you can register your guest and yourself so we have a count for Meals on Wheels. February 18, the Satellite Meeting at Nexus Brewery will feature a program honoring Black History Month. Please sign up on the Event Calendar to attend this interesting program. February 21, 2019 the Regular meeting will be at Road Runner Food Bank. This will also be a Service Opportunity. Please see the address on the Event Calendar and register so we know how many Burritos to bring.